Japanese toy maker Medicom is releasing a new Neon Genesis Evangelion figure. It's Unit 02 from Rebuild of Evangelion, and boy oh boy can it ever strike cool poses. 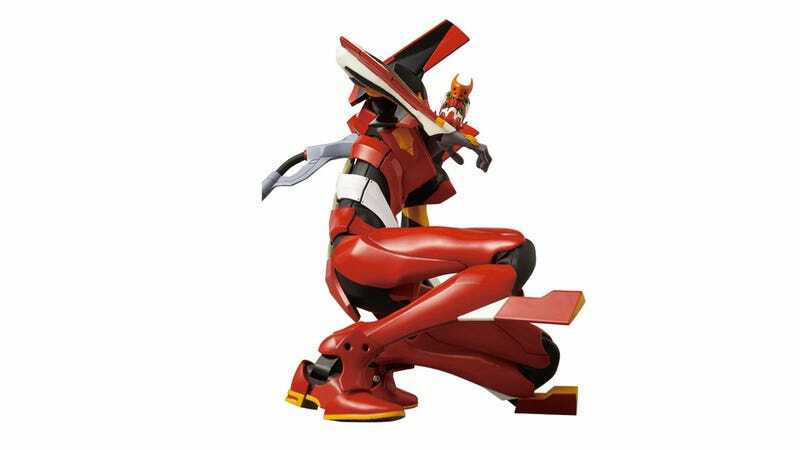 As website Tomopop points out, the Unit 02 is about 12 inches tall and comes with blades, two rifles, an umbilical cable, a core to target, and a stand. Priced at ¥23,620 (US$304), the figure will be out in May 2013 in Japan.